Unlike many other sports, target rifle shooting can be enjoyed by individuals of all ages, gender and physical ability on equal terms. This means that it is a sport that has great longevity for an individual and many current international shots of the highest order are over 50 years old. 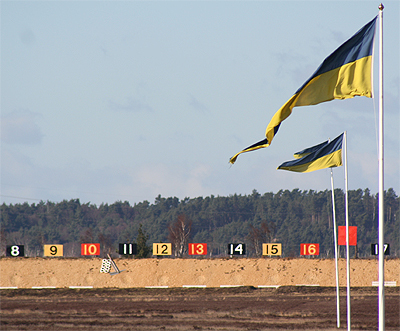 Fullbore rifle shooting can be enjoyed as either a team event, individual event or both. Although it is possible to shoot a different competition every month in a different country, Bisley Camp in Surrey England remains the 'Capital' of the target shooting fraternity. 7.62mm is the calibre, defined by the bullet (head not case) diameter being 7.62mm . As far as Langar RC is concerned, this discipline is carried out on gallery ranges all over the world incorporating both metric and imperial distances (meters and yards) as well as metric and imperial target faces (mm and inches), from 200 yards to 1100 yards . The National Rifle Association was founded in 1859, originally providing a focus for marksmanship for the newly formed corps of volunteers which had been raised to meet the perceived threat of invasion by the French. The Association organised the first set of competitions on Wimbledon Common in July 1860, on land where Earl Spencer and the Duke of Cambridge, founders of the NRA, held manorial rights. Queen Victoria fired the very first shot to open the meeting. Although shooting at this time was a very lucrative sport to get into thnaks largely to the annual gift of £250 from Queen Victoria for the Queen's Prize, it is now a sport that is merely carried out for fun, passion and, if you are fortunate enough to get to shoot in the Commonwealth Games, honour. 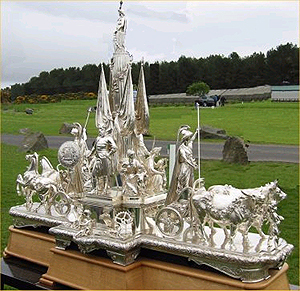 However, shooters are proud when they shoot in the Imperial Meeting (main event of the year in the UK) in the knowledge that the NRA boast one of the most elaborate and beautiful collections of trophies in the world. As we shoot without a telescopic sight (we use iron sights made specific to our sport), we obviously would struggle if we couldn't see where our shots were falling, particularly from 1100 yards. This obviously effects your 'group' and adjustments you must make. 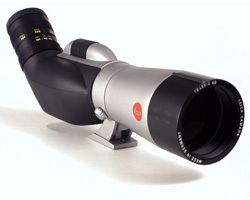 So we use a spotting scope similar to the one pictured to see where our shots have gone. The targets appear down the telescope eye piece as pictured on the banner for 'calendar', and as you might notice, there are large orange squares situated on the base of the target. This depicts the score. As can bee seen in the diagram below, the further right the marker board the higher the score. You may think this is an obvious question, but you might be surprised by the answer. The winners every time are the ones who can read the conditions on the range. Being able to shoot straight often as not is simply not enough for you to win. There are numerous things a top class shooter takes into account when about to shoot, during the shoot, and waiting until the next shoot to ensure they come away with a winning score. First and most importantly, the wind is the main factor which effects your shoot. Wind that is as strong as can be seen on the picture on the left (note the steel flagpoles are bending!) will move your shot a couple of targets along if you do not adjust. When taking wind into account, direction, strength and steadiness are the key factors. However, 'wind' can also be easier to read with the help of mirage. This is the effect you get when you drive down a clear road on a hot day and the road up ahead appears to have a running water effect drifting over the road. This is merely heat being reflected off the black surface and warming the moist air above it. We can see this down the telescope and a good coach will understand how much they must adjust on the sights in order to counter it. There are other effects that can disrupt a shooter from getting a decent score such as rain, temperature and air pressure. However, this can be quite detailed and can venture into the realms of ballistics, so we shall leave it there.